Accessing files from Google Drive on LPS Chromebooks when no internet is available requires users to enable "Offline" in their settings and allow Google Drive and the Chromebook enough time to sync files. While connected to WiFi, students should place a check in the box next to the setting "Offline - Sync Google Docs, Sheets, Slides & Drawings to this computer so that you can edit offline." The initial download of files on a Chromebook will take a while, but a typical school day of usage should be enough time. After that, downloading new files should go much faster. Students who know they will need to access a specific file offline may want to OPEN that file while online, before leaving the network. 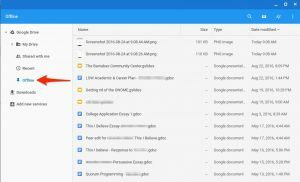 When offline, simply open the Files app on the Chromebook and navigate to the Offline folder to view a list of files. If the title is in black text, it is available offline. Click to open the file. If the title is in grey text, or does not appear at all, you will not be able to open it offline. 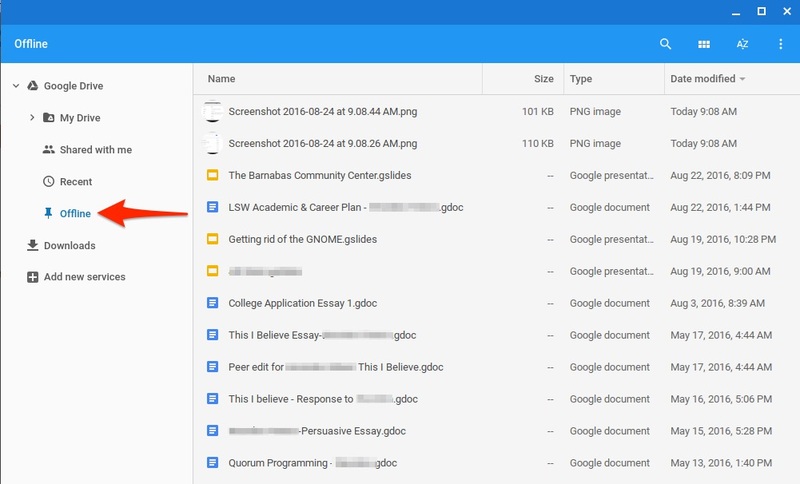 Students can always generate NEW work while offline by opening the Google Drive app and clicking the NEW button to create a new Doc, Sheet, Slide or Drawing file. 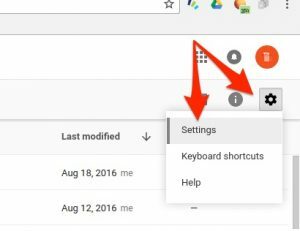 Any work done in a file (new or existing) while offline will automatically sync with the original file as soon as the Chromebook is connected to the Internet and Google Drive is opened. Files with multiple editors are not well suited to offline work, as any work done by Editor A may be overwritten by the work done offline by Editor B when Editor B comes online. To access Calendars when no internet is available, offline mode must be enabled. Reminders and Tasks are not available offline, and class calendars must be configured by the student to be available offline. You cannot access web pages while you are offline. For that to work you'd have to have a backup copy of THE WHOLE ENTIRE WORLD WIDE WEB on your Chromebook, and it does not have enough storage space to do that. 😉 Also, some Google Apps features like spell checking, add-ons, sharing files, adding images, and downloading files are unavailable when you are offline.